Pico Alto is a monster wave that breaks over a submerged reef a kilometer to the west of my family’s beach house. 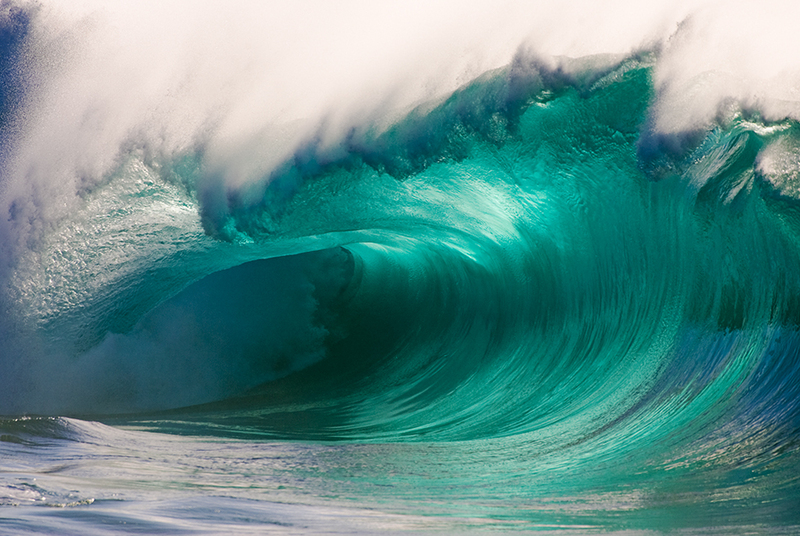 The reef requires so much force to make a wave that it breaks only a few times a year. Semana Santa is one of them. Every year during Semana Santa the surfers, the very best surfers from all the beaches north and south of Lima, they come to Playa Norte. They arrive in ones and twos, driving Beetles and bathtub Volvos with long, skinny surfboards strapped to the roof. Some belong there, some do not, but they all gather along the malecon overlooking the beach, just below my house. There they walk back and forth, in a study of the ocean, each other, and their own hearts. Some go back to their car and check their glove compartments for lost bars of wax. Then they check the seams in their front seats for the keys they lost last summer. They untie and re-tie their bathing suit strings. They walk back to the malecon and warm up their muscles. They stretch their bones. They walk back to their car and examine their surfboards, still on the roof racks. They examine each other’s surfboards. They invite the other surfers to examine their surfboards. Anything to keep from thinking about what is going to happen to them. Villa, the inspiration for the fictitious Playa Sur, is closer to Lima. It’s known for its beach and tennis club, and its really nasty surf. The only beaches I’ve found, read about, or seen pictures of, that have breakers more hollow and vicious as those of Villa are Sandy Beach and the shore break at Waimea. Both are on Oahu. The Wedge, in Southern California, is a body-surfing E-Ticket, but not as vicious as Villa. Outside, the waves in Villa are big, hollow, powerful, and impossible to board surf. A few board surfers tried surfing them when I lived in Peru, but their broken boards washed up on the beach and they seldom ventured back out. When that lip hit your board, it was all over. Inside, the surf is just as hollow but thick with sand. The wave scoops up sand from the bottom like a commercial fishing trawler scoops up fish. I could seldom get through the middle section of Villa without carrying a fistful of sand back to the beach in my shorts. The only way around that was to get lucky enough to ride an outside wave all the way to shore. Since the big waves usually closed out, that almost never happened. It’s hard to appreciate the appeal of body surfing from shore. You almost never get to see the action. Board surfing is much more exciting to watch. But if you’re drawn to the heart of a wave, body surfing is pretty cool. This picture is not of Villa, but the wave resembles an average size wave at Villa. Needless to say, I surfed Villa with Duck fins or Churchills. Without them, I couldn’t get enough force to slide down the face before going over the falls. I have gone over the falls at Villa, and one time I hit the sand so hard I couldn’t walk for a week. The calcification on my spine still shows up in X-rays. The fins also came in handy for dealing with rip tides, though we actively looked for rip tides. Rip tides helped us get through the surf quicker. Carlos didn’t surf Villa much, but when he did, he did it without fins. Carlos was a purist. And a fish. There’s a lot more action in Playa Sur in the sequel to Tocayos. This entry was posted in Tocayos and tagged body surfing, bodysurfing, Club Villa, Peru, Playa Norte, Punta Hermosa, Tocayos. Bookmark the permalink.